Sometimes home improvement can get overwhelming. One project leads to another and suddenly you find yourself with DIY overload. 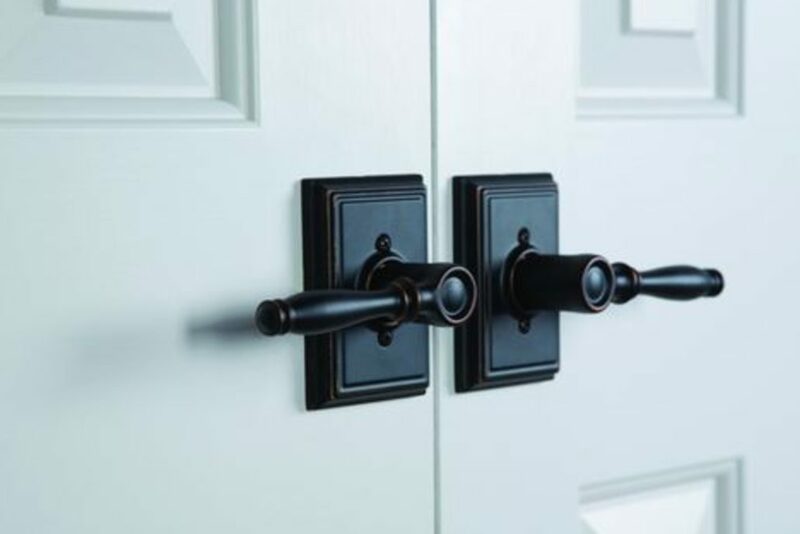 One way to upgrade your decor without having to commit to the big jobs, is to install new door knobs, pulls and locks and hinges on your interior doors. For minimal cost and effort, replacing hardware can make a significant difference in your home. If you plan to stay in your home for a while, installing door levers is a great option for long-term ease of use. 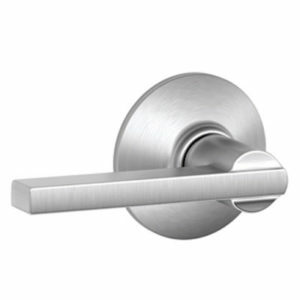 Replacing door hardware is also a good idea if your house has basic door hardware. 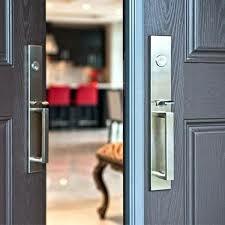 Through replacement hardware, you can personalize your doors to compliment your desired style and home decor. Finding hardware that is consistent with the architecture or decor of your home is a plus. 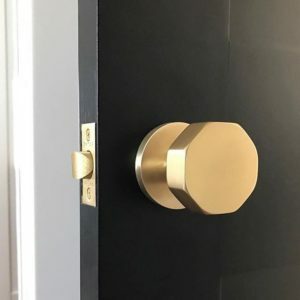 Traditional homes tend to include brass and bronze hardware to suit traditional architecture; while crystal knobs can be more specific to Victorian designs. Sleek metallics compliment a contemporary or modern structure and artistic pulls offer eclectic homes an added touch of whimsy. One tip to note: it is good to be consistent with your hinge material and the material of the knobs on your cabinets as a basic guide. A suite of knobs, levers, locks and cabinet pulls can coordinate your entire house. 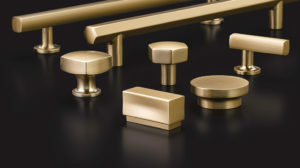 High-quality hardware is typically purchased through your builders supply company or a design professional. Search the Internet for ideas and photos – creating an inspiration board for your supplier. Something DIFFERENT can make a room. Don’t be afraid to look for something unique – even custom to create a statement in the room. While one design may have sleek lines and finishes and another traditional and rounded, the function remains the same. While crystal and glass doorknobs are popular for older and historic houses, they are also well suited in homes that feature a high glamour decor. Crystal knobs have been used in bathrooms, home offices, and pantry doors bringing unexpected glam to doors and rooms throughout the home. Consider how the knob will feel to the touch. Crystal knobs have a certain quality that you experience as your fingers slide around the smooth and heavy surfaces of the glass. Doorknobs with elaborate designs and high-end materials and finishes can turn heads as well as feel stately to touch. Sometimes the door knob or handle becomes a conversation piece. Some lever styles are labeled “dummy.” Dummy levers are used in locations where both sides of the door do not need a handle. For example, you might have a shallow linen closet with a full-size door; this type of handle is placed only on the outside of the door. 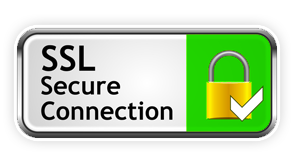 Another factor to consider is lockability. 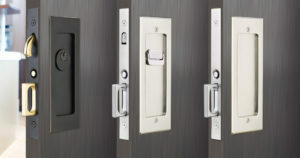 A privacy lockset has handles on both sides of the door, and the ability to lock the door from the interior of the room. Sliding closet doors require their own type of hardware. You want to coordinate your finishes, and many product lines offer a choice within that group for circumstances such as the sliding closet door. This includes pocket pulls. Pocket doors have their own specialty hardware. The lever pulls are mounted into the edge of the door so you can easily pull it out of the wall from its open position. READY to REPLACE your DOOR HARDWARE? 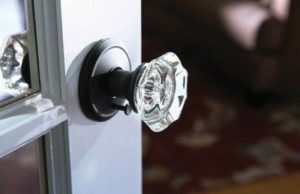 Here is a quick list to consider when beginning your search for the perfect doorknob. Develop a budget. You can do this per knob or lever and by room. Search the Internet for ideas and photos of the types of hardware you are interested in. Create an inspiration board based on your budget. Narrow down the finishes to your favorites and become familiar with the variations of your choices. Determine your home’s style: Modern, Craftsman, Victorian, Traditional, Cottage, Tudor, Eclectic etc. Walk through your home and see what will work with your existing decor. Don’t forget the hinges. Decide if this will be a DIY project or if you want professional help finding and installing the hardware. And when you are ready, call our friendly customer service representatives at Tree Court Builders Supply to find the perfect hardware at every price point for your interior doors! Simply call 636-225-7717 today!